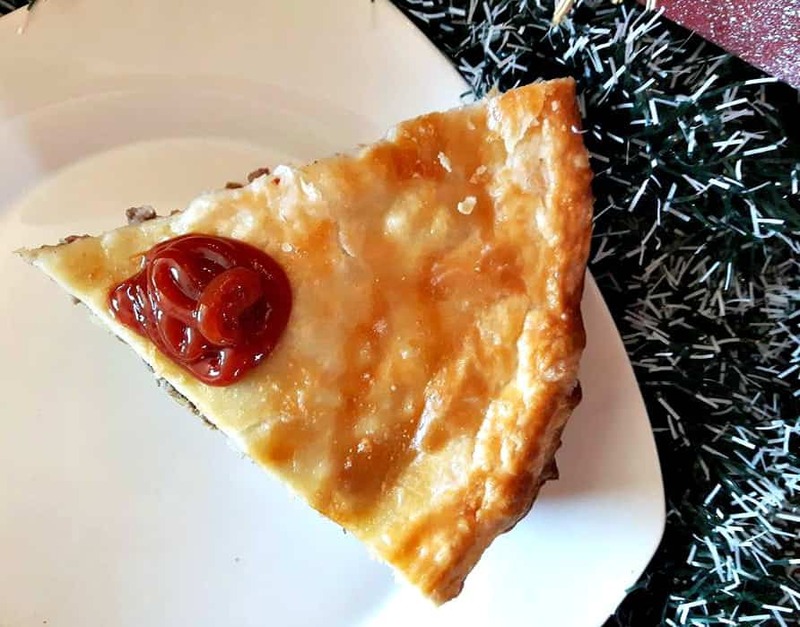 This pyrex 9.5 x 1.6 deep dish makes the nicest meat pies. Also have 4 ethnicities that make me up. 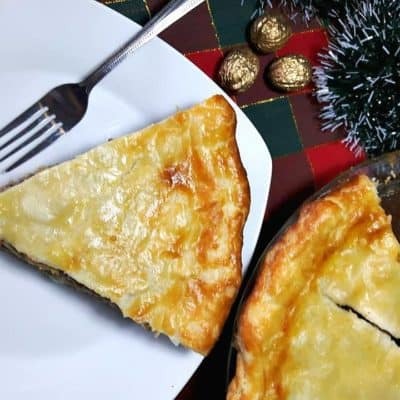 One being french, and so this recipe here is past down from my Great Grandma who was French Canadian. 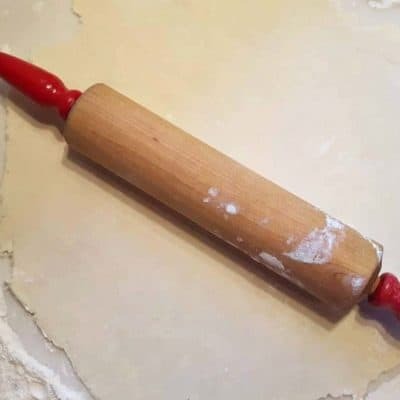 I still have her original recipe with me thanks to my aunt and so I decided to share it all with you here. My grandma on my mom’s side was french Canadian also and so my mom was half, making me 1/4. 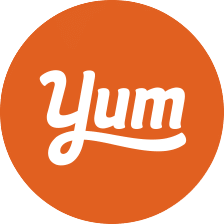 Growing up Canadian, I was influenced by many cultural groups and thus foods so it wasn’t like I stuck to just one type of food then or now. However i’ve appreciated all that was taught to me along the way. 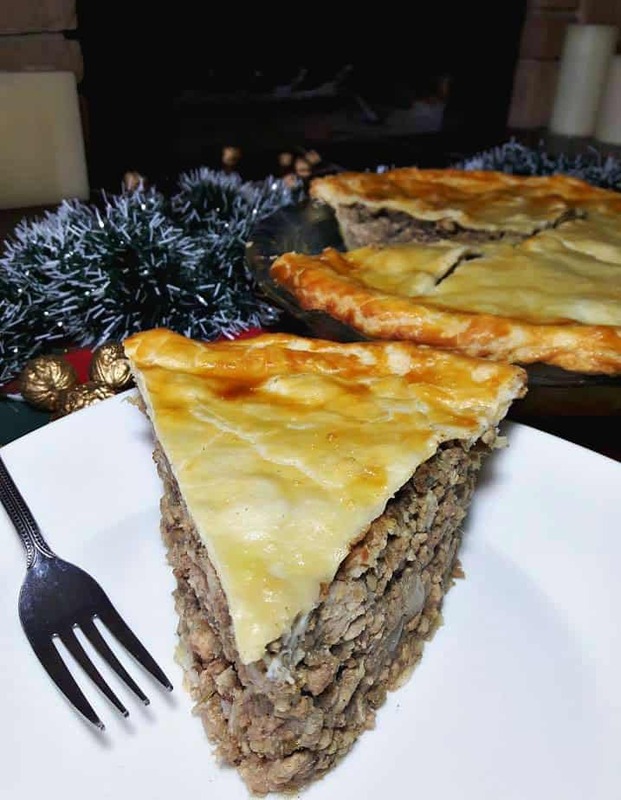 One fond memory I do have is that of my great grandma and grandma both in the kitchen together making Tourtiere right right before Christmas. 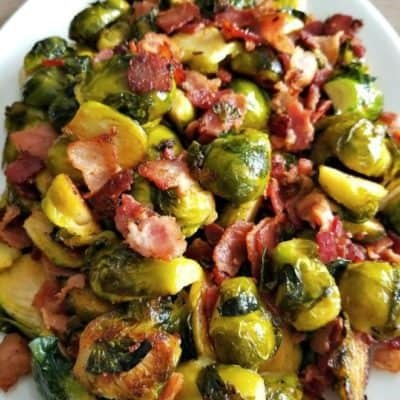 I also remember enjoying this dish during Christmas dinner and that there never seemed to be enough for us all. 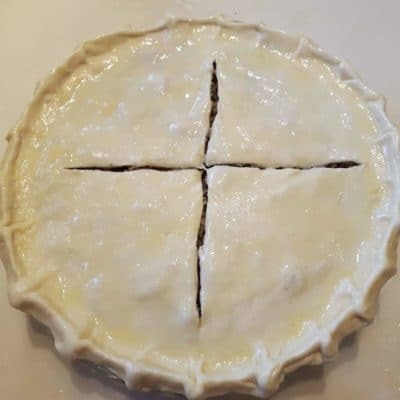 Because one pie typically serves 8-10, so even though there was 2-3 made they would be gone in no time during our large blended family gatherings. 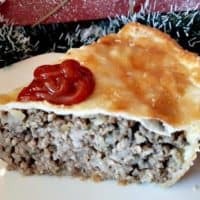 The french part of my family came to Canada after the 1700 and settled in the prairies making them Canadian not Acadian, reason I bring this up is because after learning allot about this traditional meat pie and it’s origins in depth from the Valerie Lugonja at Canadian Foodie. 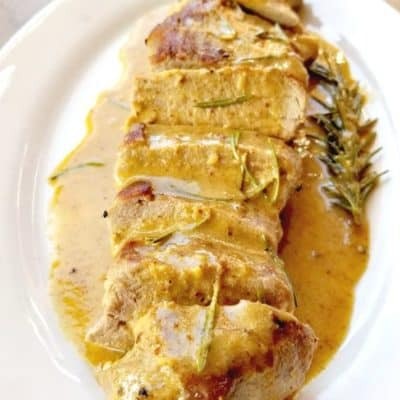 I have come to know why we prepare it a tad differently than those from out east, who mostly tend to use all pork or even rabbit in there’s. So too all you Quebecers and Acadians who claim your variation are the best, I encourage you to try ours and see what you think. 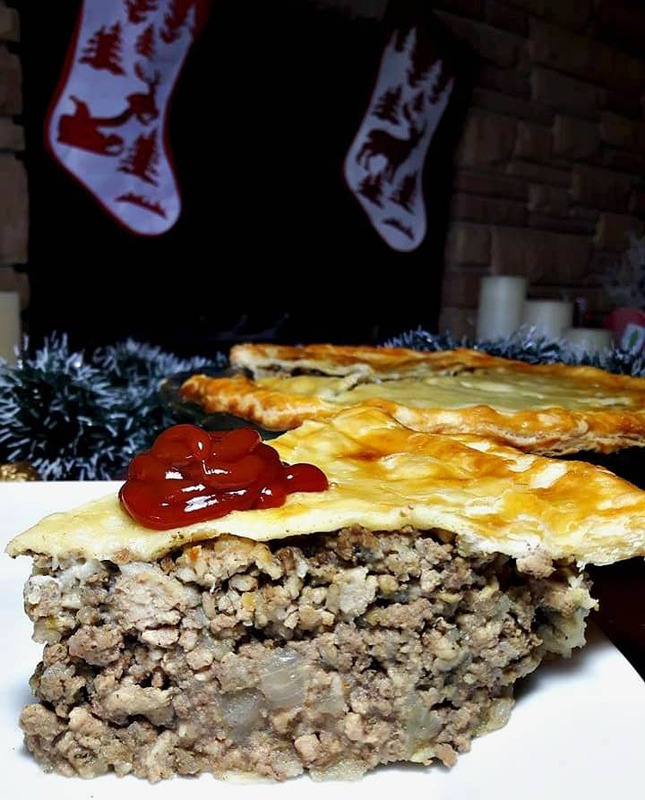 I’m pretty sure my great grandmother would say her’s is better haha, but in the spirit of Christmas let’s just say we all make great meat pies. 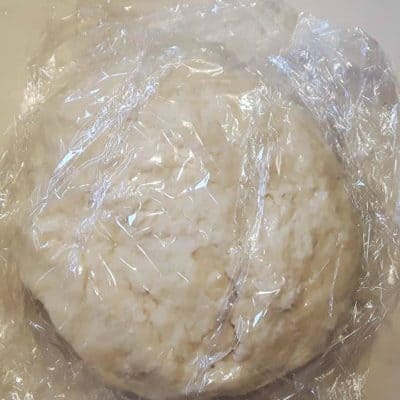 This is the first year I have attempted to make it myself, going off my aunt’s recipe here who has kept my great grandma’s recipe all these years. And it is just like I remember it too, be sure to follow all the steps and I’m confident yours will turn out just as mine did. 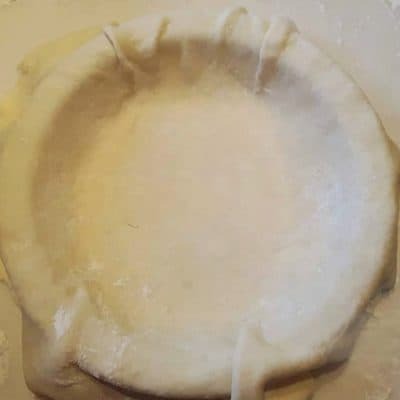 I have shared made a link below to the exact sized pie bakeware dish I used for this recipe, it’s a deep dish making it the perfect size. 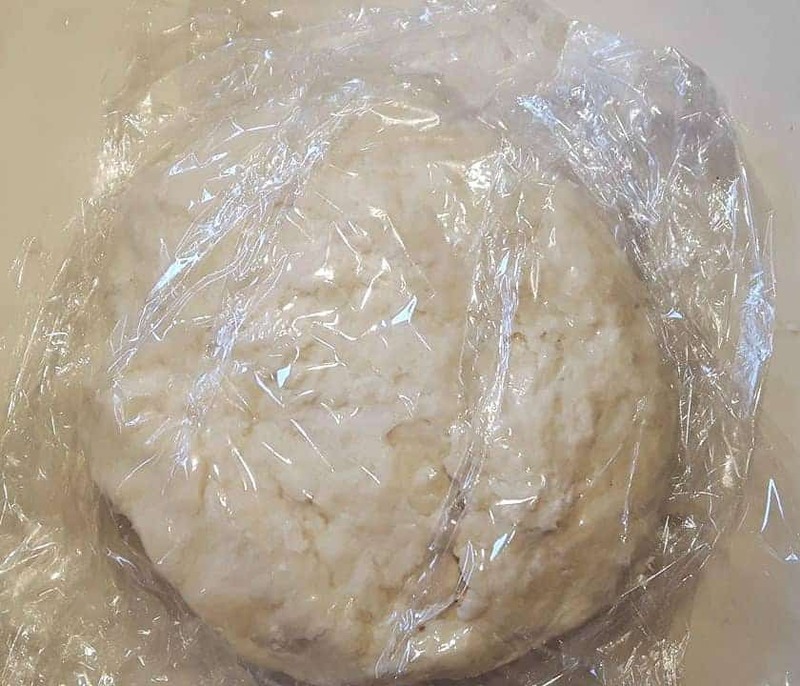 Also the recipe calls for 2 1/2 cup of flour, you may need a bit more so keep that in mind, you do not want a sticky dough so adjust as you go. 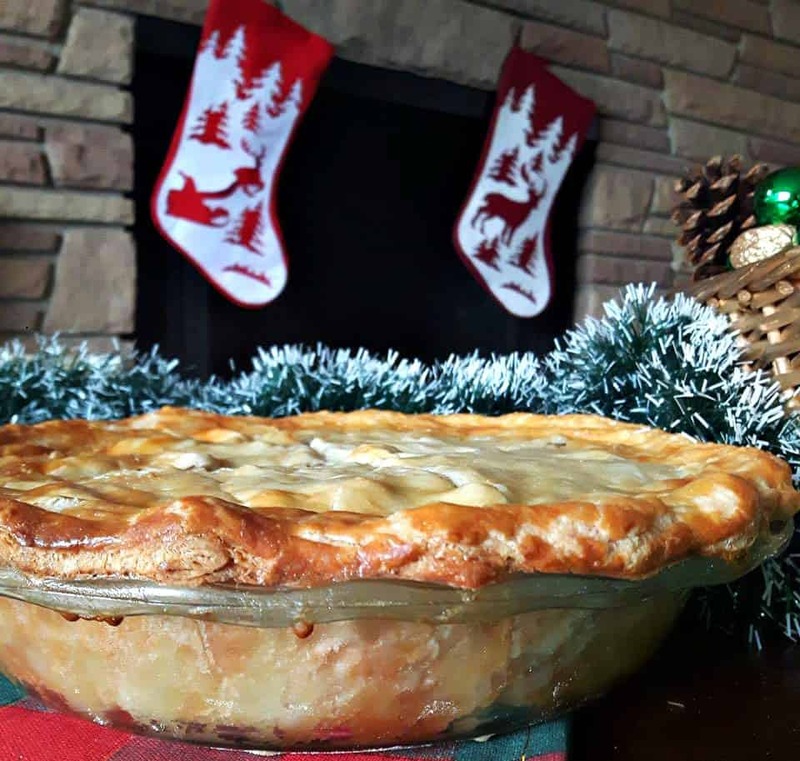 And don’t skip on the potatoes they really help to hold the pie together. 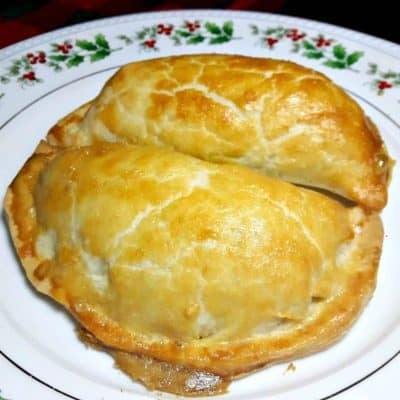 I hope you give it a try this holidays season and let me know what you think. 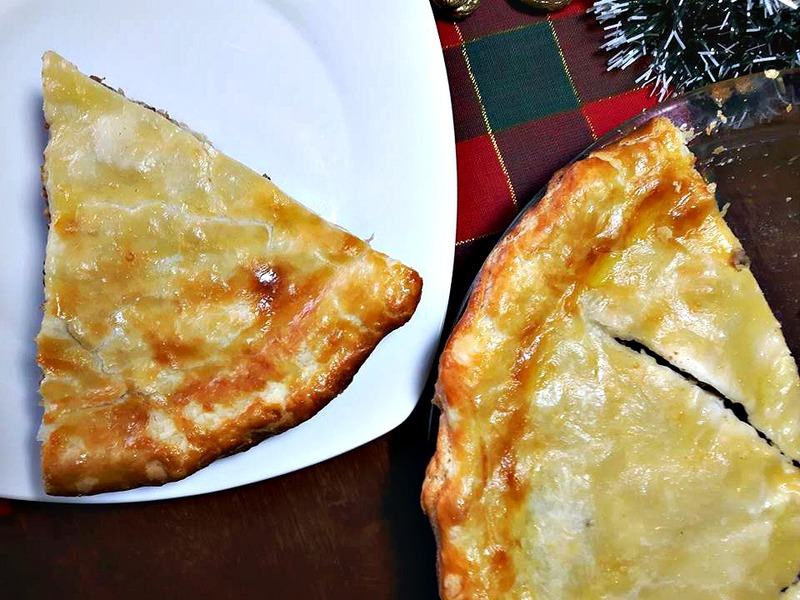 Could you serve a traditional french Canadian meat pie this Christmas? 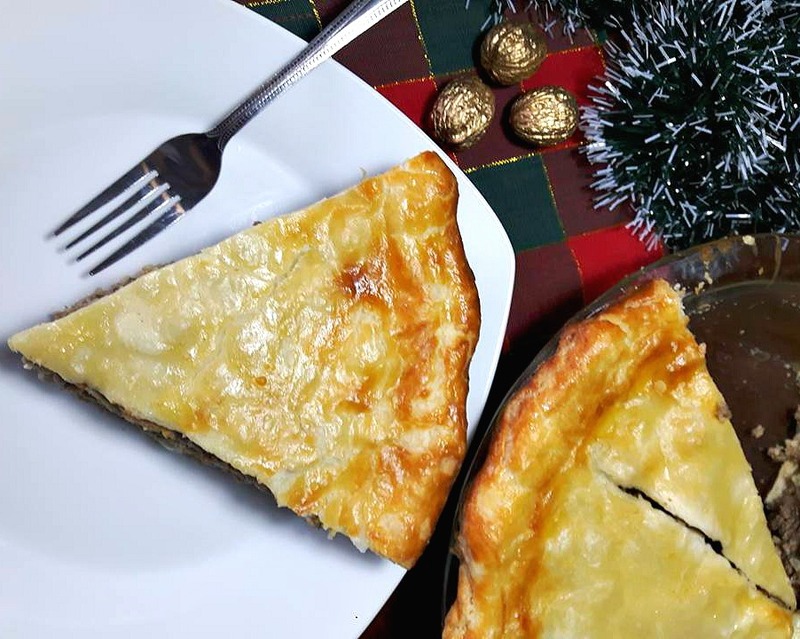 Could your family like it more than the more traditional Turkey? I would love to know. 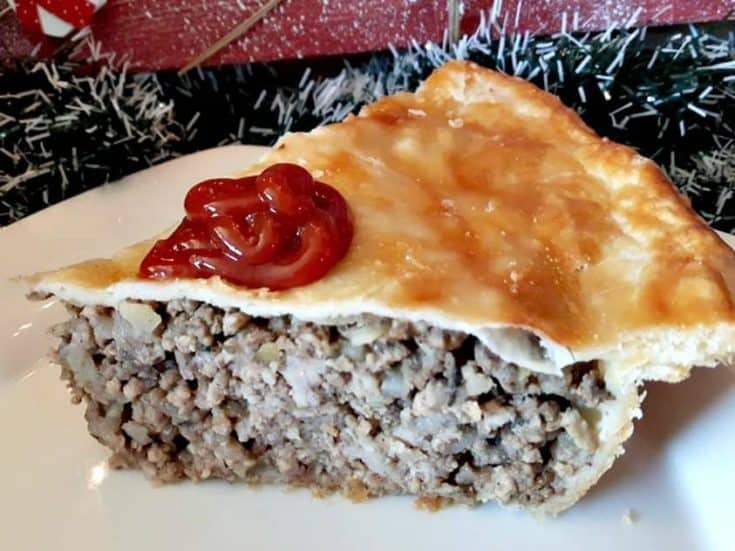 Nothing beats a savory meat pie on Christmas day! 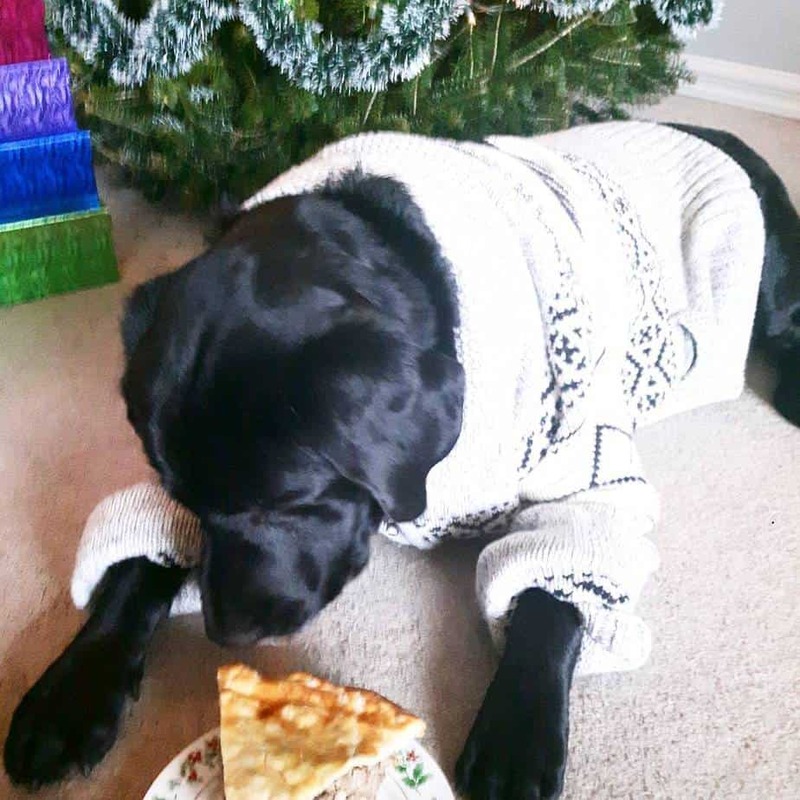 Tucker is Acadian, his ancestors really did originate from Newfoundland. So he is truly having a moment here. 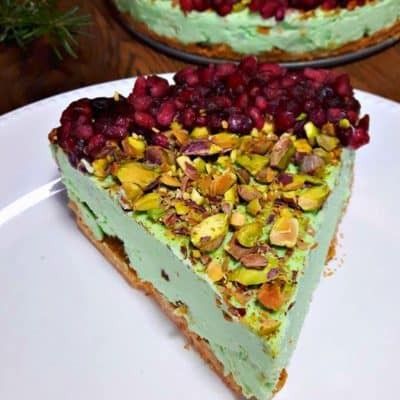 Note: You can freeze this ahead of time, and bring it to any gathering to bake fresh. 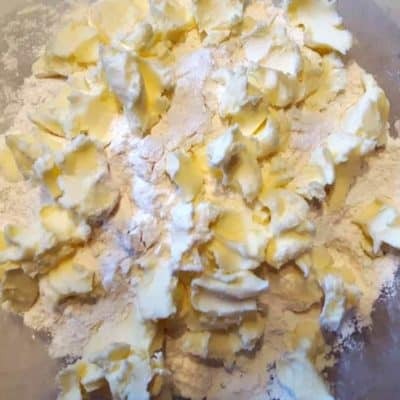 In a large pot of boiling water, add 2 medium sized potatoes with the skin on and boil till fork tender, remove from heat and soak in cold water and remove the skin easily that way. 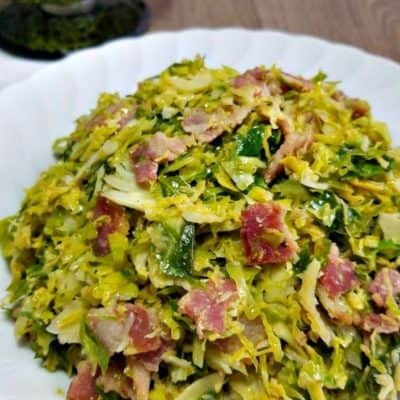 Then in a large frying pan place a little bit of cooking oil then your onion, and garlic, saute till fragrant. 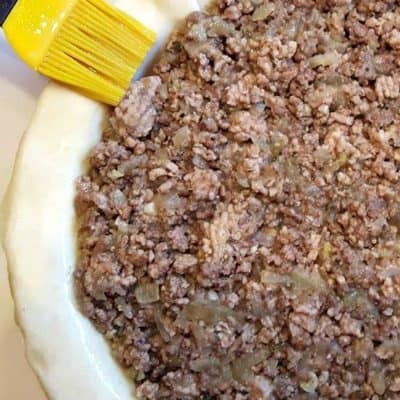 Add in your ground hamburger and pork along with seasonings and saute for 3 minutes. Then add in your beef stock and scrape down the sides to mix all the flavors together. Simmer on medium - low heat till the liquid has evaporated, roughly 30 minutes. Using a grater, grate your potatoes into the mixture, remove from heat and set aside to cool down for one hour. 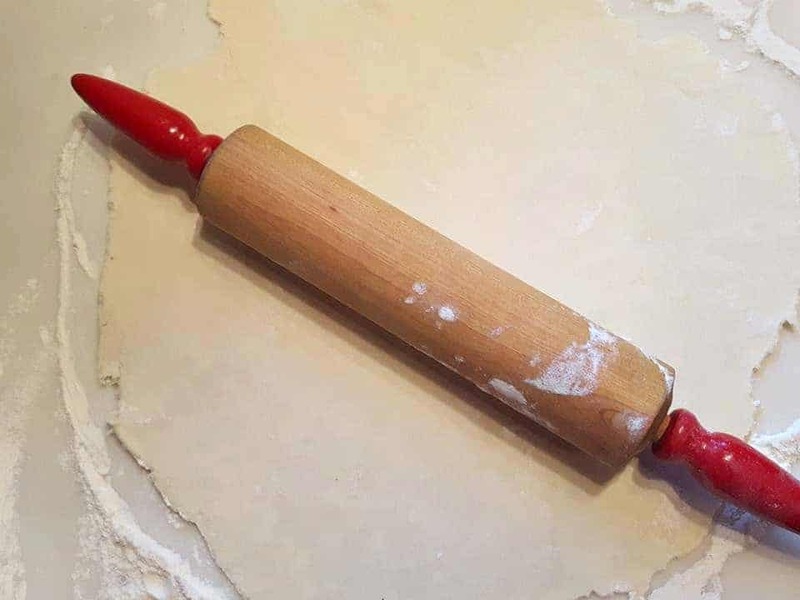 Meanwhile prepare your crust according to the above directions. 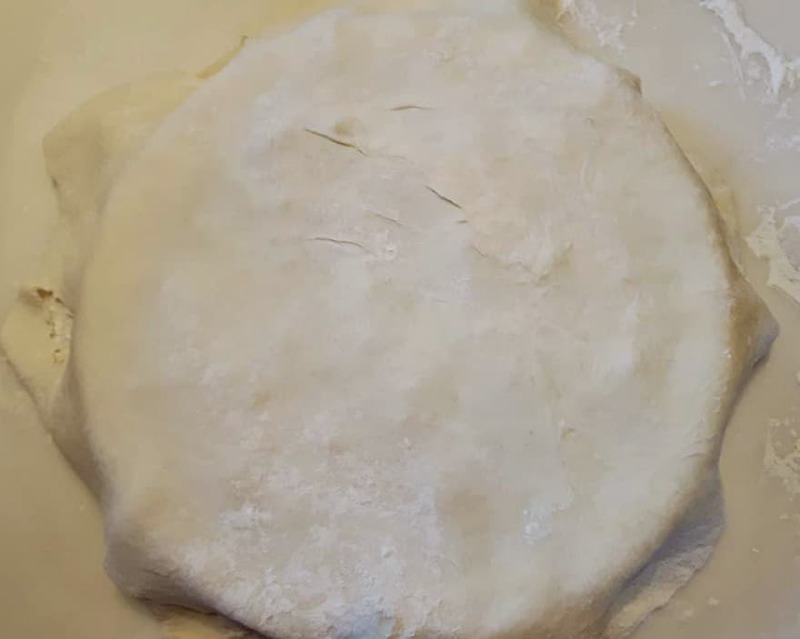 Once it's been chilled for one hour remove the crust and place on a lightly floured surface and divide it in half. 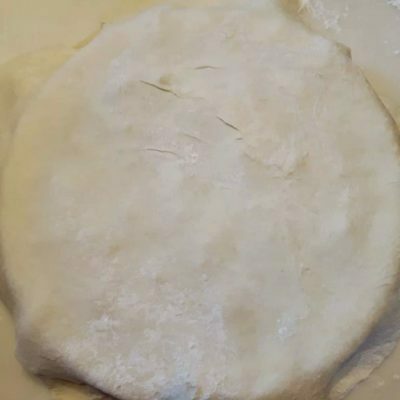 Roll each half out to form a large circle shape, one will be for the bottom of the crust the other for the top. 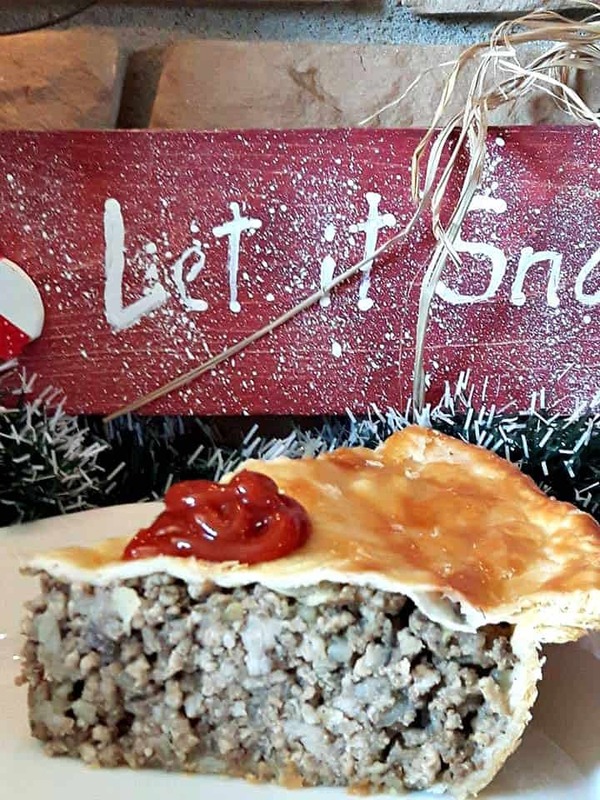 Place your bottom half gently over your pie plate and ladle in your filling, fill to the top and press down with a ladle till compact. 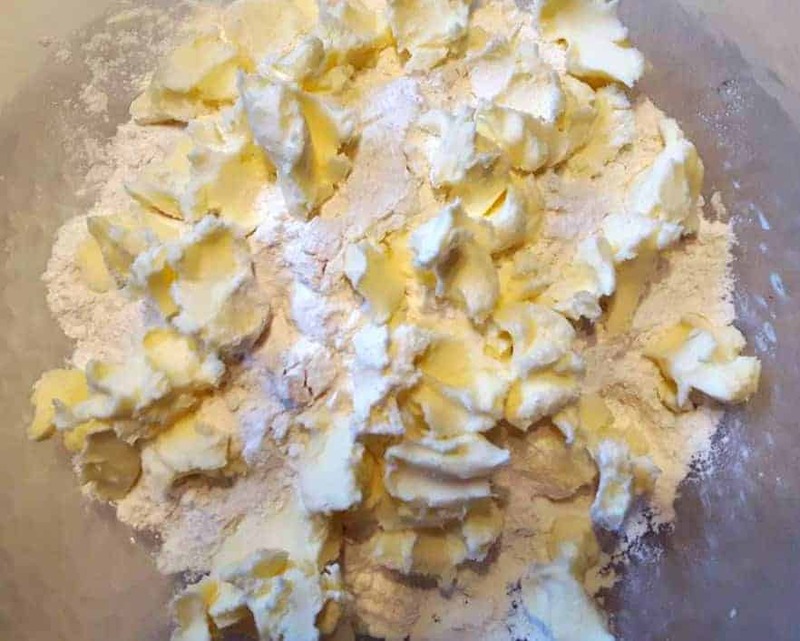 Now create your egg wash, simply beat two eggs in a bowl. 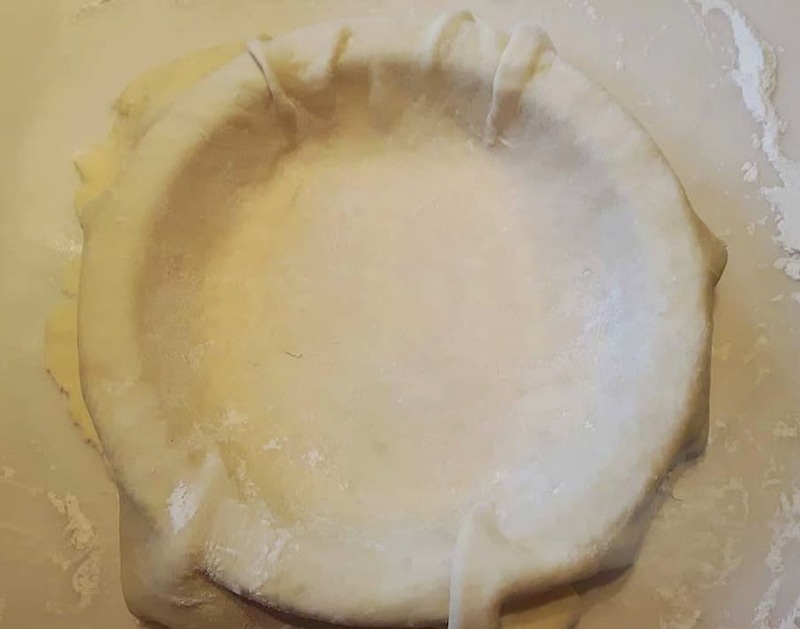 With some egg wash, brush the outside of the oval crust to ensure that the lid sticks together during cooking. 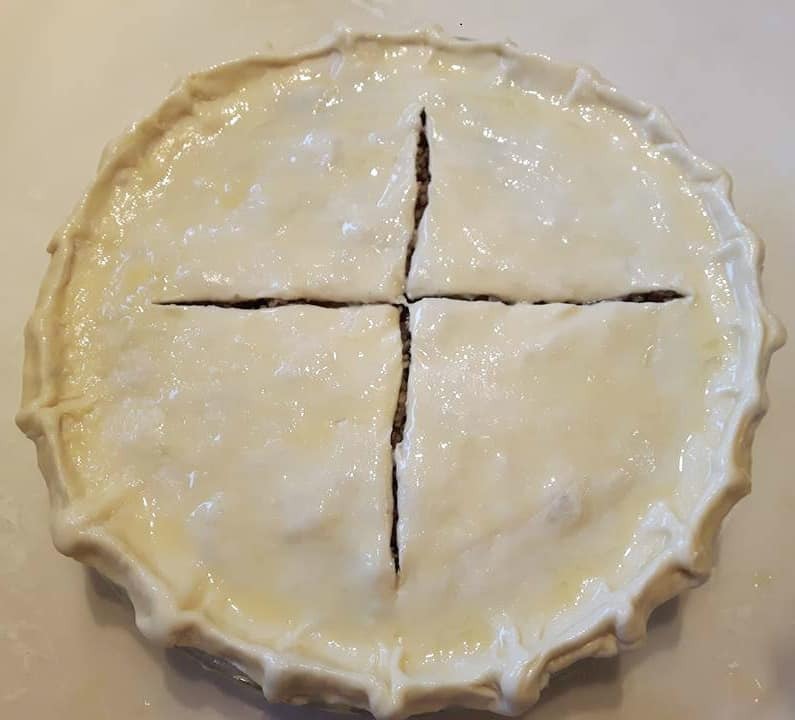 Next put the pie crust overtop and using kitchen scissors, cut around the outside edges to remove the excess dough and with your fingers pinch all around the crust to ensure its closed. 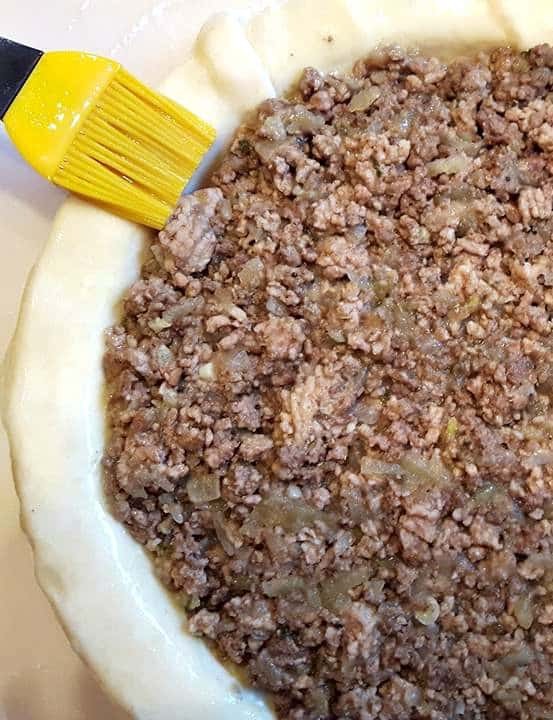 Finish by brushing the entire top of the pie with remaining egg wash and with a knife make two cuts along the top to allow for ventilation while cooking. Bake at 375 f for 45 minutes till golden brown.